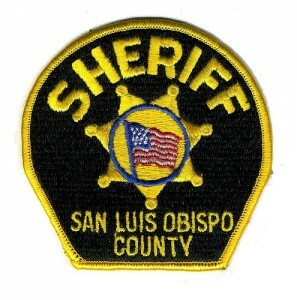 The San Luis Obispo County Sheriff’s Office is searching for a suspect who got away after pulling off a strong arm robbery in Templeton Wednesday morning. Around 9 a.m., the suspect walked up to a man who was getting an item from the front seat of his car in a parking lot on the 300 block of S. Main Street. The suspect then shoved the man into the vehicle, stole his wallet from his back pocket and ran away, according to the sheriff’s office. No weapons were reported to have been used during the robbery. The victim suffered just a small cut on his arm. After the suspect fled with an undisclosed amount of money, deputies responded with assistance from a CHP helicopter and a state parks K-9 unit. However, they have yet to locate the suspect. Authorities describe the suspect as a white male adult who is approximately 5 feet 10 inches tall. He was wearing a black hoodie sweatshirt. Investigators request that anyone who has information about the incident call the sheriff’s office at 805-781-4550. I don’t know about now but hands and feet were considered as deadly weapons. Are you suggesting that SLO county is enjoying the result of a huge injection of human flotsam? You’re correct. We certainly need to build more three-story condos along the SP right-of-way. He’ll do it again and he will get caught. Seems as though the Central Coast is turning from Happiest to ‘MostWanted’ place on earth. May have to rename it The Cencago Coast in a few years as the criminals become more embolden.